The Graduate School offers four master's degree programs jointly with the Citadel Graduate College (CGC). A joint degree can broaden your network and opportunities. Taking courses in another school and working in different issue areas through internships or classes will bring you into contact with professors, classmates, and colleagues who have diverse life experiences and goals. Graduate students say their master’s program opened up a global network and community of like-minded, amazing people from all over the world. Students are inspired to be around a group of public-service focused peers and to interact with diverse perspectives and personalities. 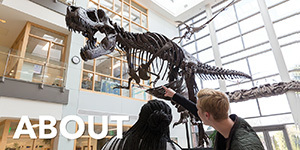 Graduate students have found many opportunities outside of the classroom to integrate both environmental solutions and business logic and broaden their educational experience. Joint degree programs have the opportunity to meet and make friends with a diverse group of students and peers in their fields of study. Your joint-degree education and expanded network may open new doors for your post-graduate plans. Combining professional skill sets and area specializations can help establish you as an expert in a niche and give you an edge on the job market. 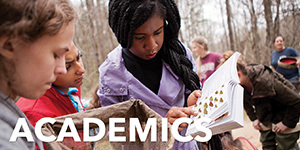 Computer and Information Sciences, M.S. How do I apply to a joint program? Do I have access to both libraries? Will I have email at both schools? Will I need a student ID for both schools? Where will my faculty advisor be located? How is financial aid handled? Where will my commencement ceremony be held? What school will my diploma be from? From which institution do I order my transcripts? Are the academic calendars the same? Can I park at both schools? ﻿How do I apply to a joint program? 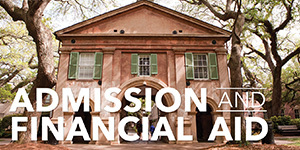 Students can apply to joint programs through either the College of Charleston or the Citadel. 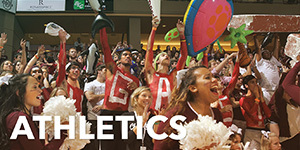 Picking a home institution is a matter of choice as joint students enjoy the same access and opportunity at both institutions. ﻿I'm a College of Charleston student and I would like to take a course at the Citadel. How do I register? Courses are cross-listed at both institutions and joint students are able to enroll in courses through their home institution's registration system. 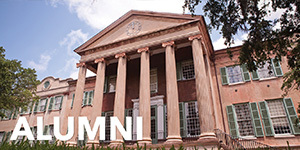 ﻿If my home institution is the College of Charleston, do I have access to resouces such as the library at the Citadel? Joint students have access to the Citadel's Daniel Library and are able to utilize all of the services offered there including Interlibrary Loan, computer access, and printing services. A Citadel campus ID is required to access a majority of library resources. ﻿Will I have an email address and login credentials for both institutions? 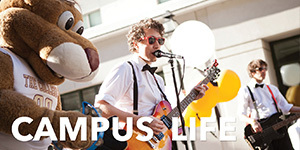 Students will be issued a campus wide ID number, email address, and username after accepting an offer of admission from their home institution. However, it is encouraged that students contact the IT department at the respective joint institution to secure log in credentials so that they may utilize campus resources including wireless internet. College of Charleston students should contact the Citadel ITS Help Center in Bond Hall, Room 253 or visit their website for more information. It is important that students create their Citadel email address as instructors may not have another way of communicating with joint students. For help accessing Citadel email, visit the CGC email help page. ﻿Will I need a student ID for both institutions? Yes. College of Charleston students can get a Citadel student ID by visiting the OneCard Program Office in Bond Hall, Room 244. For office hours and other information, see the OneCard page. ﻿Do I have an advisor at both institutions? Who do I contact with questions? The management of the program is vested in a joint program committee composed of representatives of the two departments, including the director and the associate director (the latter two positions rotate between the two institutions). Your academic advisor will be a faculty member at your home institution. Your advisor will be your program director at your home institution. ﻿How do I view my grades? Grades are posted on your home institution’s student records platform (Lesesne Gateway for Citadel students and MyCharleston for CofC students). Because each institution has its own calendar, final grades from the joint institution are typically delayed by 1-2 weeks before they are available on the respective systems. How do I gain access to the Lesesne Gateway? Students can access the Lesesne Gateway using their Citadel login credentials. ﻿How is Financial Aid handled? Financial aid will be handled by the student’s home institution. ﻿How do I pay my bill? Through your home institution’s online bill pay system. The Citadel: CGC "How to Pay Your Bill"
﻿Where will my commencement ceremony be held? You will participate in commencement exercises at your home institution. ﻿What will my diploma say as a Joint Student? Diplomas and other documents will indicate that the program was a joint endeavor and will include the names of both institutions. ﻿From which institution do I order my transcript? You can order transcripts through your home institution. ﻿Are the academic calendars the same? No. The College of Charleston and the Citadel have different academic calendars and students should reference each institution's schedule for school holidays, etc. ﻿How is parking handled? Do I need to pay for parking at both institutions? After 4:00 PM on Monday through Friday, and on weekends, evening students may park in any decal parking defined in the above map. Prior to 4:00 PM Monday through Friday, evening student parking is limited to the Kovats Lot (far left in blue). For information on parking at the College of Charleston, visit the Parking Services page.